Have you got an easy semester ahead or tons of free-time??? Then scroll down to read about 8 awesome shows you should add to your watchlist. I excluded several of my favorites (Buffy, BSG, and Doctor Who). The following shows are personal favorites of mine- some of my go-to TV shows when I'm down, bored or unsure of what to watch. We all have our favorites, below are 8 of mine! Kristen Bell has spoken for years about bringing back Vmars to the small screen in the form of a TV movie on the CW. Any fan of the cult-comedy drama about teen BAMF detective; Veronica Mars. Bell excels as the exuberant detective who attempts juggling solving mysteries and steering clear of the 09ers at Neptune High. Before Bella Swan or Elana Gilbert there was Liz Parker. Liz Parker was just your average high school student/part-time waitress before she realized Max Evans has a secret- he's not from around here. It's cute, geeky and contains all of that awkward-yet-awesome teen romance. Oh, also, ALIENS! Almost every time I meet a new Buffy fan my next question is always asking what they thought about Angel. The usual response is 'Oh, I tried but couldn't get into it.' Others were so distraught after the Buffy episode they've refused to carry on. But Angel embraces everything a Joss Whedon ran show should have. A great story, incredible characters placed in dangerous and sometimes hilarious situations. How are 14 million watching Big Bang Theory and only 3 million tune in for Community? Community is the nerdiest, out-of-the-box and downright ridiculously awesome show you could ever think of to exist on TV. Claymation episode? Massive paintball war? Time Travel Episode? Yup, Community does it that. And they do it really, really well. My favorite character, Abed, is the socially awkward geek who constantly keeps the group on their toes. Whether its impersonating Don Draper, leading a paintball attack, or wreaking havoc in the Dreamatortim with Troy, Abed does it best. As a fanatic of great storytelling combined with awesome characters, Community has continued to be creative and original each week. Korra is probably the best show on TV you're not watching. It follows the newest Avatar, Korra, (Aang has passed) on her journey to becoming a fully powered Avatar. Korra was originally only green-light for one season, but after fans and critics caught on to the show, Nickelodeon announced it would be extending the show for 4 seasons! The first season is (in my personal opinion) better than most shows currently on TV. 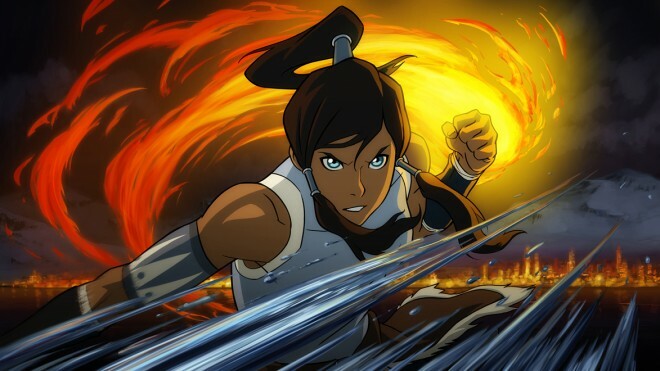 Seriously, with it's witty dialogue, awesome action scenes, and more adult themes than the previous Avatar series, Korra is definelty worth checking out. Oh, and make sure you set aside a solid 8 hour chunk of time for whenever you decide to watch this. You're gonna wanna watch it in one sitting, trust me. What can I say besides watch it and then ponder how anyone could cancel a show like that? 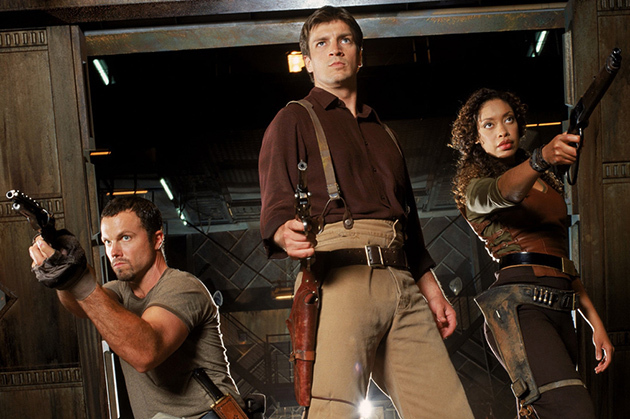 Well, Fox did the unthinkable and canceled Joss Whedon's epic sci-fi-western after just 1 season. Joss says the crew of Serenity was his favorite to write for and after watching just an episode its easy to see why. The show is gripping, the crew is rough and risky, and led by Han-Solo-like Captain Mal Reynolds the adventures are always sassy and exciting. Oh, also, because of the awesome fans, Joss was able to make a feature film, Serenity, that picked up with the crew a few months after the end of the show. Created by the legendary Chris Carter, X-Files is the show that laid out the foundation for paranormal/supernatural/extra-terrestrial TV shows. Who the frak knew what a 'mythology' episode was or what 'monster-of-the-week' episodes were before the X-files? I see so many different aspects of the X-Files in some of my favorite TV shows such as; Lost, Avatar, Roswell, Buffy and Supernatural. I want to believe. Yeah, I know, you've heard all the rumors about LOST on every late night talk show- but let me set the record straight. Lost is fantastic. It, like X-Files, doesn't spell everything out for viewers. Exec. 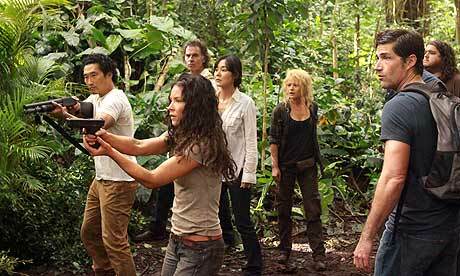 producers Damon Lindelof, Carlton Cuse and J.J. Abrams gave Lost incredible characters and then used the Island to ask questions about life, fate and destiny. I'm currently rewatching right now (middle of season 1) and just get ridiculously excited every time I get to watch an episode. Also, Desmond and Penny may have the best love story ever on television. sorry, what year is this? Thanks for the comment, majickman. Your sarcasm was greatly appreciated this fine Wednesday! !